Alive! 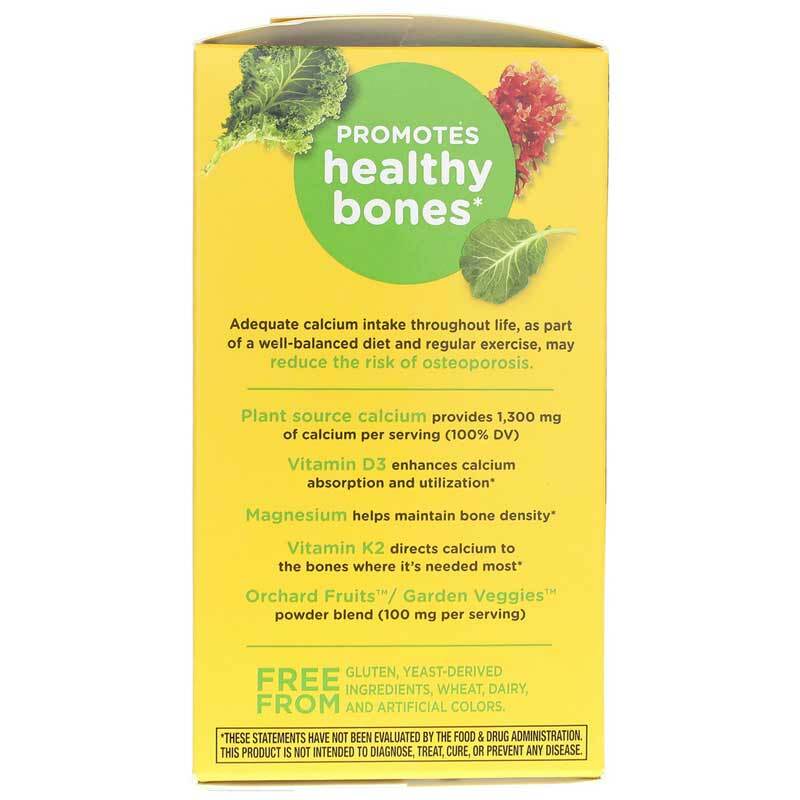 Calcium Bone Formula by Natures Way is a 100% whole food calcium and vitamin C supplement that also contains vitamin D3, vitamin K2, magnesium, boron and synergistic minerals. All of the calcium in Alive! 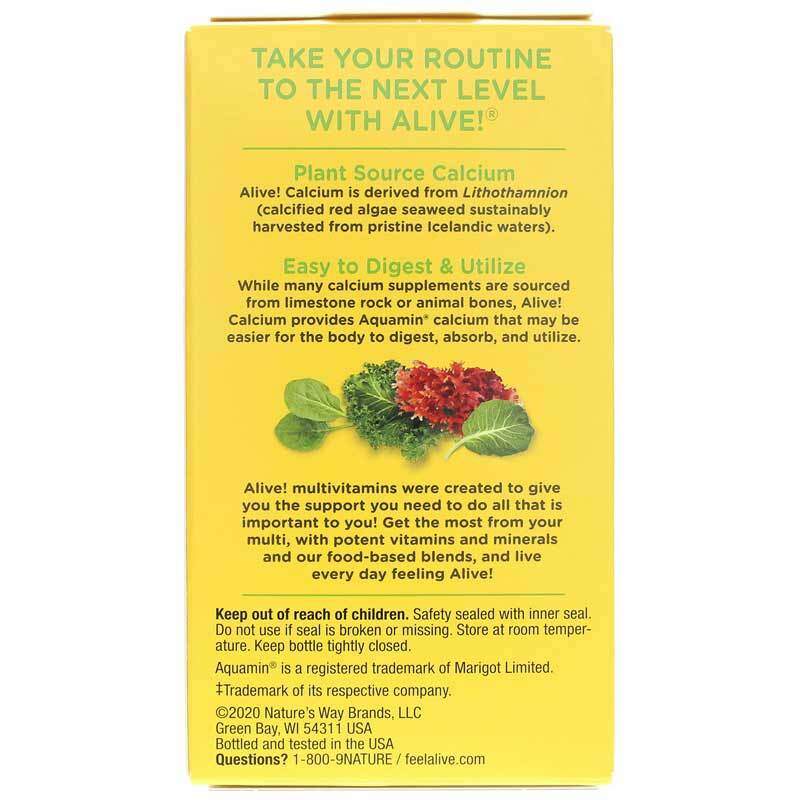 Calcium is from plant sources: (Lithothamnion calcified red algae seaweed) sustainably harvested from pristine Icelandic waters, plus organic kale, spinach and collard greens. Easier for your body to digest: While many supplements contain calcium from limestone rock or animal bones, Alive! 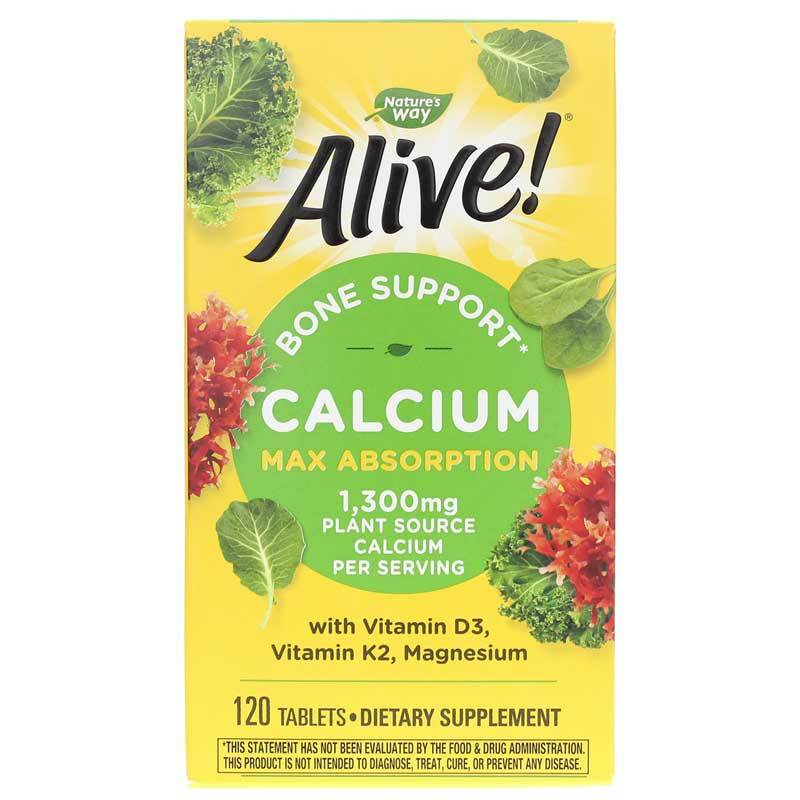 Calcium provides calcium and 70+ trace minerals in a natural food matrix that may be easier for the body to digest, absorb and utilize. Support for Healthy Bones: Adequate calcium intake throughout life, as part of a well-balanced diet and regular exercise, supports healthy bones. Taking Alive! Calcium provides 1,000mg of calcium. Other Ingredients: cellulose, stearic acid, sodium croscarmellose, citric acid, sodium bicarbonate, hypromellose, silica, glycerin. Contains NO: gluten, sugar, yeast, wheat, dairy products, artificial flavors, colors or preservatives. Adults: Take 4 tablets daily, preferably with food. For best results, take 2 tablets twice daily with food. Do not exceed recommended dose. Caution: Consult your healthcare practitioner before using this product if you have a kidney disorder, hypercalcemia, hypercalciuria, are taking warfarin or other prescription drugs, or are pregnant or nursing. Keep out of reach of children. 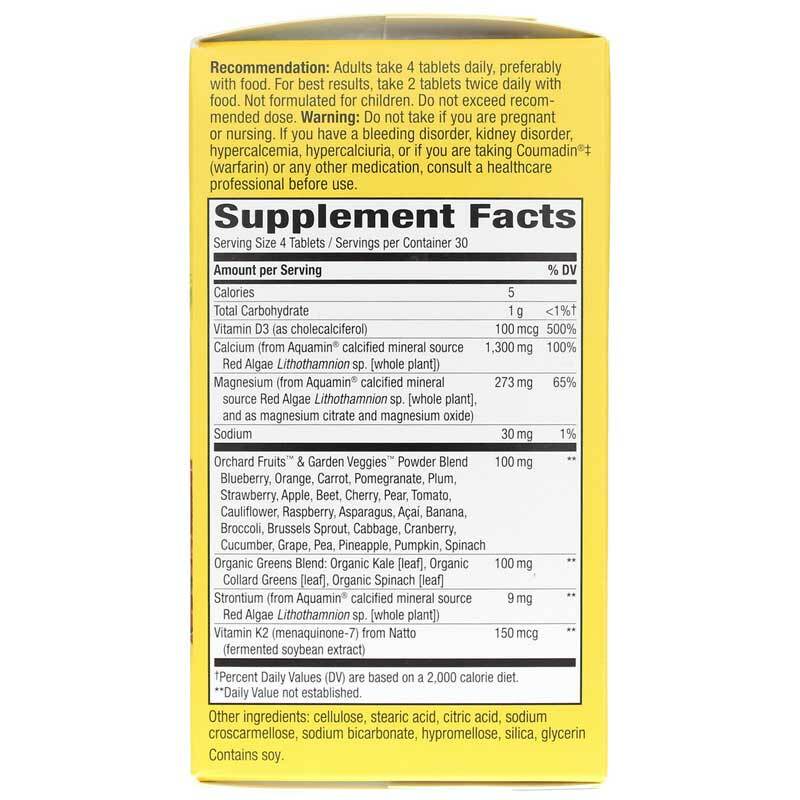 I was looking for a calcium supplement that was affordable and digestable. Amazing. Love this product! Have been using Alive! Calcium for years. It is a plant based source of vital minerals for bones and muscles. I take this and other minerals for osteoporosis. Very Safe Product!